Thanks for the wonderful giveaway. Hope I win! My post will be up a little later tonight, stop by to enter. Keeping it simple, I appreciate it. Thanks for the giveaway! I'm happy to find a new-to-me reviewer to follow! Thnx for the simple entry! I love to read...Thanks for the chance to win books to read!! I'd love to read both of these books. How generous you are! These look like wonderful reads. Both of these books look awesome! These have both gone on my TBR list. Thanks for the opportunity to win. These books look great and so does your blog. Thank you for joining the giveaway. Thanks for the giveaway. Both books look very good, would love to win them. Thanks for the chance to win. Happy Birthday! These books look awesome, thanks for the giveaway! Hi I'm a new follower. The books look interesting. I am looking forward to Homestead Review Week. I'm a new follower on GFC (Darlene), and my email address is darlenesbooknook at gmail dot com. Thank you for not having 10 thousand requirements! Thank you so much for this great giveaway, I totally want to win. Hi there! New GFC follower! Thanks for the giveaway! These books sound wonderful.Please enter me in the giveaway.Thanks for the chance! augustlily06(at)aim(dot)com. Thanks so much! I love Colleen Coble! THANKS....looks like two good books. I'm intrigued by the books you've chosen for your giveaway! Thank you! To amend my previous comment, my email address ends in 'com', not come! Ooops! Thanks for the giveaway!! 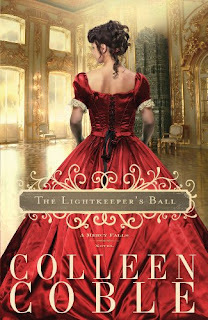 I've wanted to read The Lightkeeper's Ball so bad!! and i am a new GFC follower, following as Leah F and with the same email. Thank you so much for the chance to win this. I just found your blog - cool! thebookishmama at gmail dot com. Thank you for the awesome giveaway. Old follower here. What I love about these things (besides the giveaways) is finding great new blogs! I will come back, I've got you bookmarked! Thanks for the giveaway. Both books look like a good read. Looks like some very good reads. Thanks! They both look great! I love book giveaways. :) These look awesome. Thanks so much! Would love to read these. Great giveaway and thanks for keeping it simple:) I am a follower regardless! I am new follower...thanks for the simple entry. Hello! I've been a follower for a while. Your reviews are a lot of fun and I love the fact that you're keeping it simple. A form isn't bad or rafflecopter, but having to make 25 comments to be entered is ridiculous when 1 would suffice. Keep up your awesomeness! great giveaway-would love to win! Thanks for the Giveaway ~ Would love to win! Thanks for the giveaway. Both books sound great! I already Follow you as lauriehere! Homestead review week? I'll sic my mom on this; she'll be interested! I'm a new follower. Thanks so much! What a great giveaway! 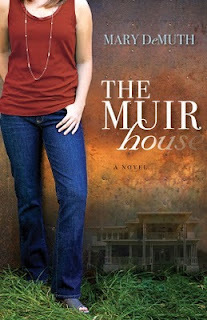 I have been wanting to get "The Muir House" for awhile now, so I would love to win it. Thanks for this opportunity. 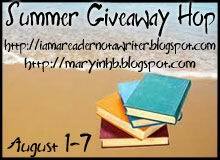 Thanks for the great giveaway and for participating in this blog hop! Both of these books are on my wish list. I'm a new follower via GFC (MamaHendo3). The Lightkeeper's Ball looks great! You have a very nice blog. Thanks for the great giveaway. I am a new follower. Hi! Would love the chance to win a copy of The Lightkeeper's Ball!